Home and Away, often referred to as H&A as well, is a long-running Australian soap opera written for television. The show is set in the fictional seaside town of Summer Bay in New South Wales, where Tom and Pippa Fletcher run a caravan park together with their six foster children. Home and Away premiered in 1988 and has since then become the second-longest drama series on Australian TV, exceeded only by the immensely popular show Neighbours. Home and Away is well-known for creating story lines around both everyday topics, like foster children and teenage problems, and more controversial themes, like abortion, addiction and domestic violence. 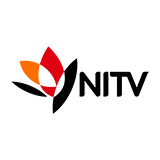 The show has been exported to more than eighty countries, turning it into one of Australia's most successful media products of all time. Brody and Simone take a big step forward in their relationship. Colby recruits Raffy and Ryder to keep Bella company. How much longer can Leah and Justin continue their secret rendezvous? Is Raffy onto Justin and Leah? Could Leah and Justin ever be more than friends with benefits? Maggie agonises over the part she played in Ziggy's marriage breakdown. Tori makes a decision regarding Robbo. Is Justin developing feelings for Leah? Jett's mood crashes after an exercise session with Mason. Colby makes a startling discovery about Willow. Concern for Ziggy sends Dean off the rails. An explosive confrontation pushes Brody and Simone into new territory. Jett is in denial. Dean saves the day as Ziggy wallows in self-pity on her birthday. Colby resolves to tell Bella the truth. Willow tries to stop her family from falling apart. Will Jasmine give up on Robbo. Purple day goes off brilliantly thanks to Ryder. Mason and Raffy extract CBD oil. Simone battles for respect. Ziggy is devastated when Brody is unwilling to fight for their marriage. Tori struggles to come to terms with what Brody has done. John and Marilyn anxiously await news on Jett. Home and Away, often referred to as H&A as well, is a long-running Australian soap opera written for television. The show is set in the fictional seaside town of Summer Bay in New South Wales, where Tom and Pippa Fletcher run a caravan park together with their six foster children. Home and Away premiered in 1988 and has since then become the second-longest drama series on Australian TV, exceeded only by the immensely popular show Neighbours. Home and Away made its broadcasting debut on the Seven Network in January of 1988, with a ninety-minute pilot episode that later got known as Home and Away: The Movie as well. The concept for the show was conceived when creator Alan Bateman (The Flying Doctors, Family & Friends, Great Performances), on one of his trips through Australia, came across a community in which a new foster home was going to be build, something the then-current residents were not at all happy with. Home and Away is well-known for creating story lines around both everyday topics, like foster children and teenage problems, and more controversial themes, like abortion, addiction and domestic violence. 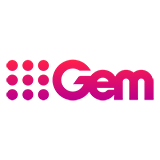 The show has been exported to more than eighty countries, turning it into one of Australia's most successful media products of all time. 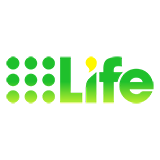 Most of us have one or more favorite television programs or series that we follow faithfully and of which we really don't want to miss a single episode. You don't want to watch an episode of Home and Away, skip the subsequent few episodes and then drop back into it, right in the middle. It can happen though, that our personal lives overlap with the airing schedules of our favourite TV shows. It might be an emergency at work, a last-minute favour for a friend or a lunch appointment with your parents-in-law, but the result used to be the same: you were going to miss the next episode of Home and Away. Well, not anymore, now that you have discovered TVCatchUpAustralia.com. 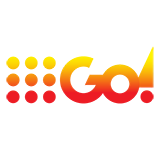 With TVCatchUpAustralia.com you can watch and re-watch any episode of Home and Away that you want, even from the earliest seasons. Our very large digital library contains every episode of every season since the hit show premiered in 1988. All you need to do is go to our website, select Home and Away, and choose the season and the specific episode you're interested in. Never miss anything in relation to your favourite Summer Bay residents again, with TVCatchUpAustralia.com. Enjoy the comings and goings of Alf, Roo, Leah and all the others whenever you want and wherever you are. As long as you have access to a decent internet connection you have every season and every episode of Home and Away at your disposal. Million Dollar MinuteMillion Dollar Minute is an Australian quiz show written for television and hosted first by Simon Reeve (Weekend Sunrise, It's Academic) and later by Grant Denyer (Family Feud, Carols in the Domain). Homes Under The HammerCatch up TV on Homes Under The Hammer. 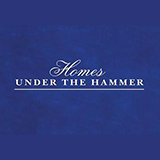 Watch the latest and all other episodes of Homes Under The Hammer now online, broadcasted on 7Two. Catch up on your favorite 7Two TV show: Homes Under The Hammer. 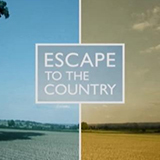 Escape To The CountryEscape to the Country is a British television show about the purchases of (rural) real estate by ordinary people and families. The subjects of each episode are usually looking to leave the city where they live behind in order to move to a calmer and more rural location. 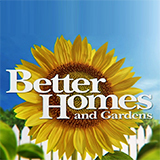 Better Homes and GardensBetter Homes and Gardens is an Australian lifestyle show made for television. The series is mainly about lifestyle and home improvement in areas such as gardening, cooking and pet care.